Have a problem, but don’t know what the cause is? Let us take a look with our truck diagnostics service. Even though we see them everywhere every day, engines are rather complicated pieces of machinery. All sorts of vehicles can be taken care of by different types of mechanics, but when you have a larger engine like a diesel engine or RV, you need specialized skills and care when there is a problem with your truck. 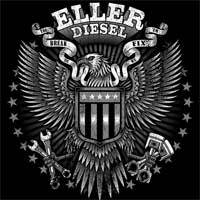 At Eller Diesel Truck & Trailer Repair, we are here to help you with all your diesel engine needs, including something as simple as truck diagnostics. When you find yourself with a diesel engine issue, you might not know what the problem is. Additionally, if you are stuck at a standstill, you might not be able to get your vehicle to our shop. If this situation sounds like yours, don’t worry– we can tow you to our shop for truck diagnostics. Many diesel engine owners are very educated in terms of what happens to make an engine run. However, that doesn’t mean you are always expected to know where the issue is. Our truck diagnostics can work with any size or type of diesel engine that you might need serviced. And because we have decades of experience, you can rely on us to perform a proper diagnostic test and recommend suitable repairs. No matter what type of vehicle you need assistance with, our truck diagnostics can help ensure that your repairs are exactly what you need to get on the road again. If you need truck diagnostics on your vehicle, let us help. We service people in the Salisbury, North Carolina area and would be happy to take a look!